For bigger trenching jobs, choose our riding trencher. Not only can you do everything you need from a seated position, the backfill blade can be angled to make covering your trench a breeze. 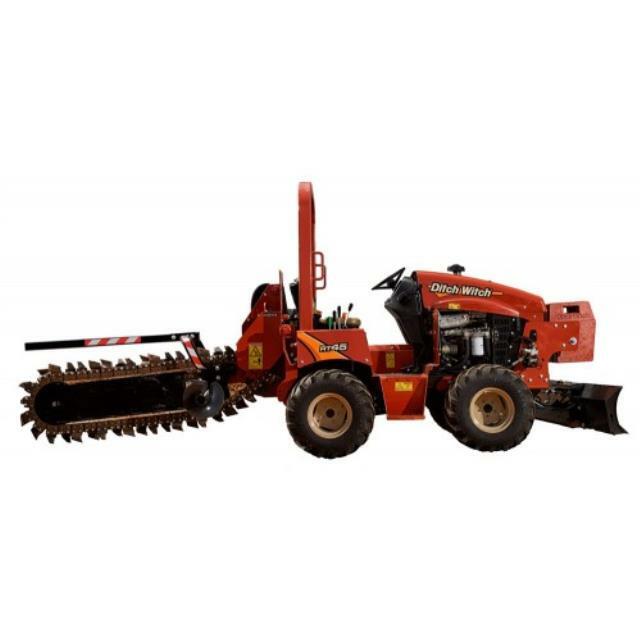 Click here for the Ditch Witch RT45 operator's manual. Trenching width: most are set up 10"